Mermaids are in the house. 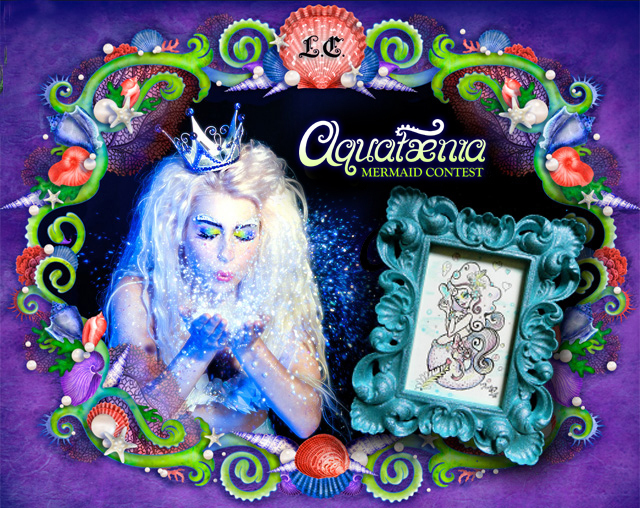 I am very excited to announce that Lime Crime is doing a very whimsical Mermaid Makeup Contest on their fan page to celebrate their new “Aquataenia” palette. The winner will receive an original framed drawing by yours truly (yes that’s a super sparkly glitter frame) as well as a $50.oo gift certificate to the Lime Crime webshop. Find the details on the Lime Crime Facebook fan page.